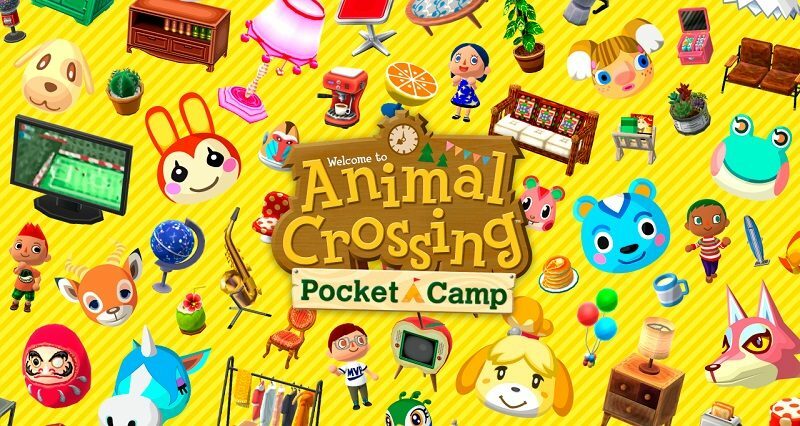 On October 25th 2017, Nintendo revealed Animal Crossing: Pocket Camp, their 4th games on smart devices, and the first one for the series on Android and iOS. It will be released in late November in many countries around the world. Make sure to check out this post for all there is to know about it! In this post, we’re going to list the various animals that have been confirmed by Nintendo, along with their official description (from the official website). That way, you can easily check out whether your favourite animal is in the game or not. If you spot anything amiss or incorrect, make sure to drop us a line in the comments below! Stern of brow and hooked of beak, he’s frequently misunderstood based on his appearance. He might take umbrage, if he cared what other people thought. Beppe is OK Motors’ own style savant. He’s a whiz at whipping up outrageous new paint jobs for your camper and…literally nothing else. Do not let him work on your engine! The main wrench at OK Motors, Carlo has forgotten more about being a mechanic than most people will ever learn. Not to worry—he’s still plenty capable…of everything but small talk. A master craftsman, Cyrus can build any piece of furniture you order! And the best part? He also delivers! Now that he and Reese have their mobile shop—Re-Tail on the Road—he can even craft larger amenities, such as tents and tree houses. If you have a camper, Giovanni is the bird to befriend! He keeps OK Motors running smoothly and always has a nugget of earthy wisdom to dispense to his customers. Goldie’s luxurious locks are famous for their natural fluff and sweet aroma. Folks always ask her what her secret is, but she just tells them the truth: she doesn’t have any secrets. If you have a question about your campsite, chances are Isabelle knows the answer…as well as the answer to five other questions you didn’t even think to ask! You can find her at the town hall satellite office, providing support to anyone who needs it. He’s not exactly brave—just empty-headed. He’s the type that seems to succeed by willpower alone. This natty skunk runs a shoe shop named after himself. Market Place itself gets a bit more fashionable every time he shows up with his wares. Labelle brings a high-fashion pedigree to her curated selection of hats and accessories, having studied under fashion legend Gracie. So whether you need something cute or couture, she’s your hedgehog. Lloid tirelessly monitors the mining conditions at Shovelstrike Quarry. He’s always in the market for minerals and will gladly offer Bells and craft materials in exchange for them. If you spot Mabel’s smile at Market Place, you know a selection of fashionable clothing and accessories can’t be far behind! Always happy to make a deal, she’ll gladly buy something from you, too. While most of her time is spent running Re-Tail, Reese also lends a hand with her husband Cyrus’s crafting business. Together, they’re an entrepreneurial dream team! Rosie’s something of a town celebrity. If you ever see a crowd of people in a state of frenzy, you can be sure Rosie’s on the other side of it. Whether at home or on the road, Sable can usually be found behind a sewing machine! As the less gregarious Able sister, she’s happy to spend her time creating the fashions that she and her sisters sell out of their mobile store, Able Sisters To Go. From time to time, Timmy likes to get away from his day job over at Nookling Junction and set up shop at Market Place. Be sure to stop by and see what he’s got for sale! Whenever Tommy needs a break from the hustle and bustle of city life, he heads to Market Place to sell things the old-fashioned way—from right out of his truck! This page will be updated regularly until and after release, so stay tuned for more animals and details!